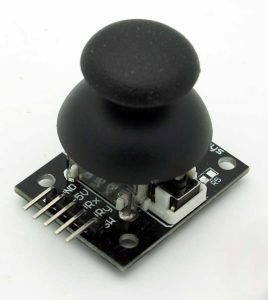 A PS2 Style Joystick is very similar to PS2 controllers and is a thumb operated device. There are 2 potentiometers ( one for each axis and of 10k each ). It even includes a select button which can be pressed. 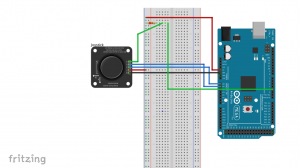 In this tutorial, we will be using a 2-axis joystick module. 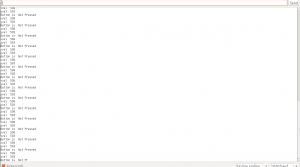 The output shows the X and Y value ranging between 0-1023 and tells whether the button is pressed or not. The following figure gives an indication of how the outputs will respond when the joystick is pushed in various directions. 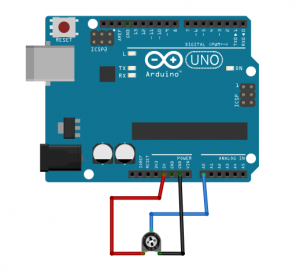 What Is a Potentiometer ? We already saw that there are 2 Potentiometers in the Joystick but how do we use a Potentiometer ? A potentiometer is simply a variable resistor that allows us to modify its internal resistance. It works by adjusting the conductor length between the central and side terminals. 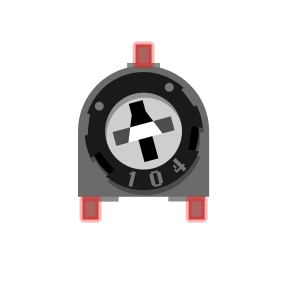 High resistance potentiometer is used to prevent a lot of current passing through it ( 10K ohm ). It allows you to control things or adjust settings in a program. Let us see how to use it. 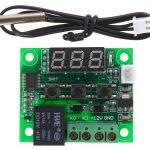 Rotate the Potentiometer head to observe different readings. Inside each Aduino, there is an Analog-to-Digital-Converter ( ADC ) which converts Analog Signal values to Digital. More on ADCs will be discussed in the coming tutorials. As a fun experiment, try integrating the PS2 Style Joystick with Processing ( Example mentioned in the previous tutorial : Processing Tutorial ) . Thank you for visiting the website. In case of any doubt, feel free to ask.